Our daily lifestyle behaviors and oral care habits pose a number of challenges that may contribute to increased dentin hypersensitivity. It is through greater awareness and knowledge of the risk factors that we may more effectively manage teeth hypersensitivity. Tooth hypersensitivity of dentin is caused by hydrodynamic stimuli that create a pressure change or disturbance within the fluid that fills the dentin tubules. The movement of the fluid in the open tubules is then transmitted to nerve fibers. Heat, cold, air, and pressure can cause this rapid movement of fluid in open dentin tubules. Cold stimuli will cause the fluid in the tubules to contract while heat stimuli will expand the fluid, both of which will cause a notable pressure change within the tubules. The sensation of dentin hypersensitivity is characterized mainly by erosion, which both exposes dentin and more importantly starts the lesions. 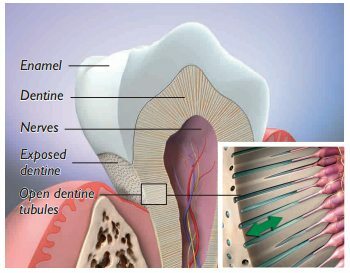 Dentin hypersensitivity then occurs when dentin becomes exposed and tubules are open at the dentin surface. Gum recession is the primary way dentin is exposed in the cervical region of the tooth. 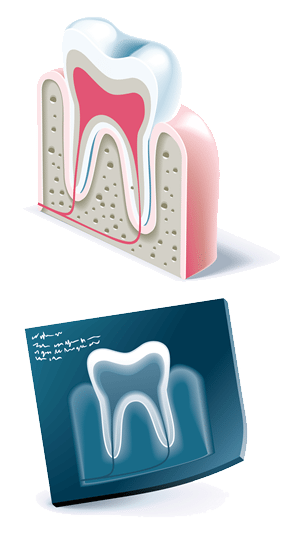 Once the root is exposed, the protective layer is easily removed, resulting in open dentin tubules. Other causes of the typically short and sharp pain may include caries, chipped teeth, fractured or faulty restorations, specific restorative materials and cracked tooth syndrome. Dentin is naturally sensitive owing to its close structural and functional relationship with the dental pulp. Normally the dentin is well protected so sensitivity does not present an issue. It is a calcified tissue of the body usually covered by enamel on the crown and cementum on the root surface. 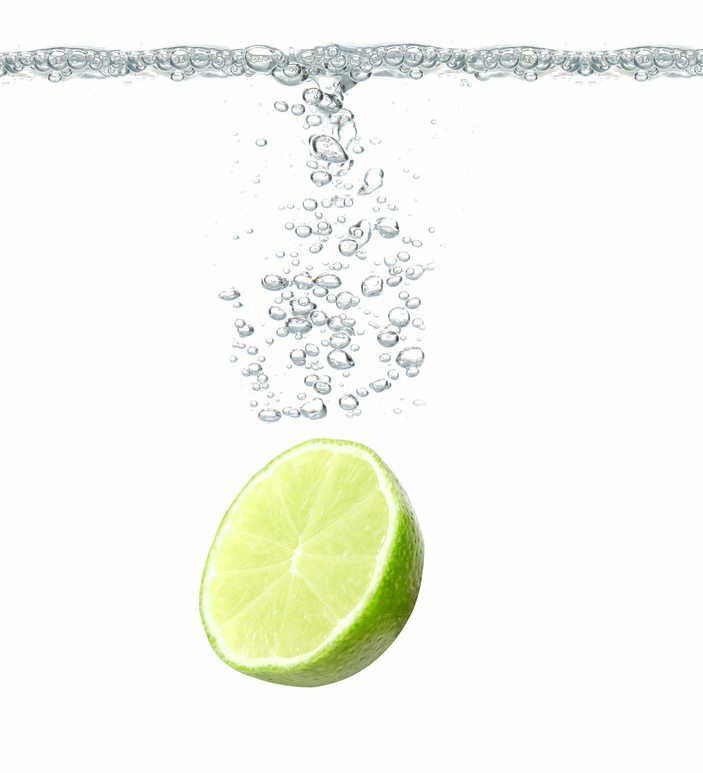 By weight, 70% of dentin consists of hydroxyapatite, with 20% being organic material and 10% water. Dentin consists of microscopic channels called dentinal tubules which radiate outward through the dentin from the pulp to the exterior cementum or enamel border. As a result dentin has a degree of permeability which can increase the sensation of pain. Dentin is thought to be covered by a smear layer, consisting of a combination of both inorganic and organic elements, which occludes the dentinal tubule orifices forming a smear plug and natural “bandage” that blocks stimuli. Conversely, removal of these occluding materials can also frequently occur as a result of physical (vigorous over brushing) or chemical agents (erosion) that open the dentinal tubules. Sensitive teeth can be treated. Depending on the cause, our experienced dentists may suggest that you try desensitizing toothpaste which contains compounds that help block sensation traveling from the tooth surface to the nerve. Desensitizing toothpaste usually requires several applications before the sensitivity is reduced. If the desensitizing toothpaste does not ease your discomfort, we will advise regular application of fluoride gel or special desensitizing agents that can be applied to the sensitive areas of the affected tooth. 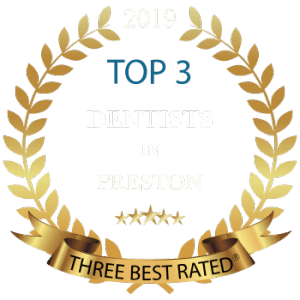 When these measures do not correct the problem, our cosmetic dentists may recommend other treatments such as a filling, a crown, an inlay or bonding to correct a flaw or decay that results in sensitivity. How to Prevent Sensitive Teeth? 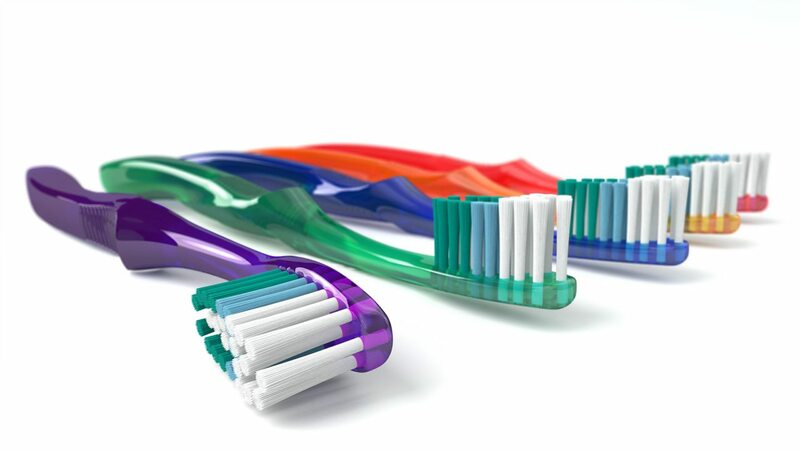 Brush your teeth twice a day for two minutes with fluoride toothpaste. Use small circular movements with a soft- to medium-bristled brush. If you grind your teeth, talk to your dentist about the possibility of having a mouth-guard made to wear at night. If you are thinking about having your teeth whitened, discuss sensitivity with your dentist before starting treatment. Visit your dentist twice a year for regular check ups.